Diary: A ticket to see… Me! Tabard likes a happy news story. They’re few and far between in this day and age, let’s be honest. So when something positive comes along, it fills Tabard’s heart. This week’s happy story comes courtesy of Kaisa Hammarlund, currently starring in the marvellous Fun Home at the Young Vic in London. Last week, Hammarlund reminded us how her career has been one of ups and downs – she was a receptionist two weeks before starting rehearsals for Fun Home. “I’ve been a waitress, nanny, barista, juicer, teacher, event/conference staff, dog walker and Arsenal Angel. It’s normal, tough, necessary but not shameful. I’m still an actress,” she said. A few days later, she tweeted about an email she received – a reminder of a booking to a show she’d made prior to landing the part in Fun Home. 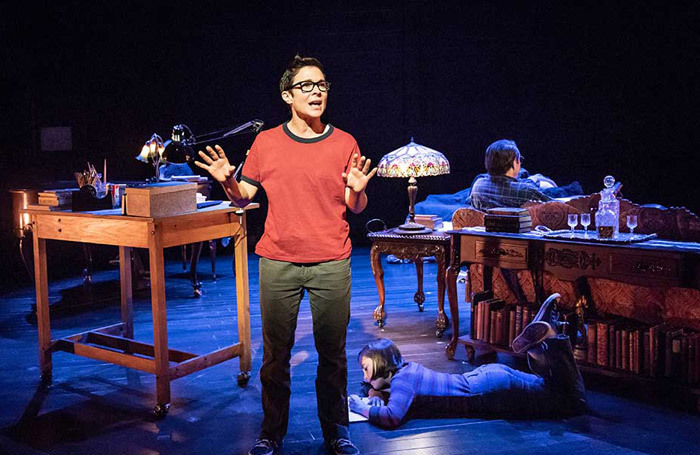 The show she’d booked for was Fun Home – of which she is now the star. “Booked this as soon as tickets were released last year and was so excited to see the show. The stuff dreams are made of! #McGrateful,” she said.